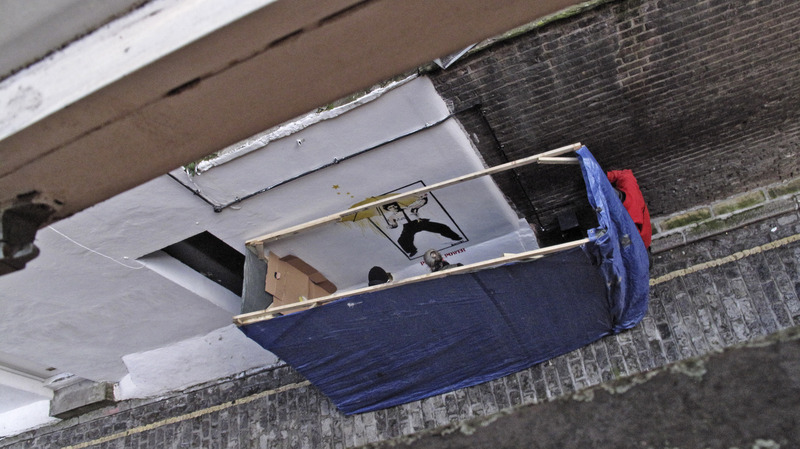 someone finishing off the artwork that they’d sprayed onto the wall. 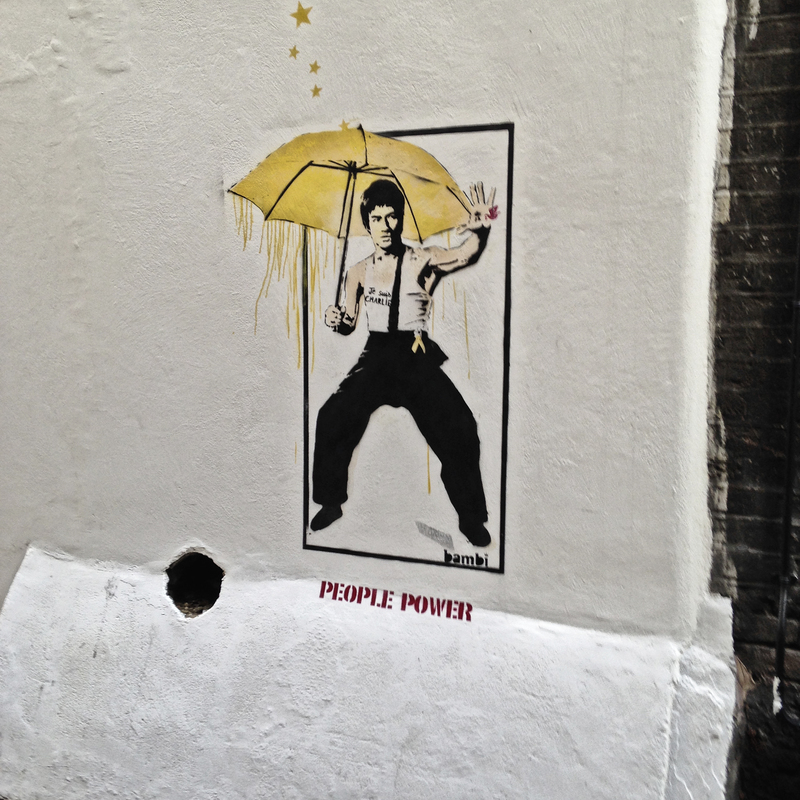 Much excitement followed, especially as it was extremely close to Banksy’s style… a stencil of Bruce Lee, Je Suis Charlie written on his vest, some stars falling from the sky onto his yellow umbrella. 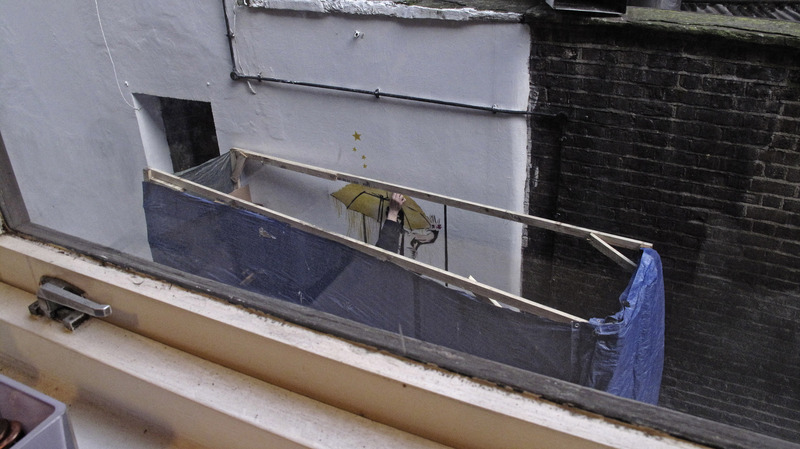 There were two guys in Hi-Viz jackets, who did most of the tarpaulin construction, and someone in the middle with silver hair in a Toshiro Mifune kind of top-knot. We didn’t want to disturb them so we took some discreet photos and went down to have a look after they had magicked their temporary hut away. Then we found that it had a title, People Power, and was signed, Bambi, who turns out to be well-known in her own right as a Street Artist. Great, we thought. That dull wall has been transformed with something quirky and interesting… until we arrived back at 11.30 that night from the cinema and someone had painted over it, leaving very little trace of our six-hour art gallery.